The trendy car Chevrolet launched its new contest promo dubbed as "Chevy Spark Virtual Carpool Club" where fans can participate through its Facebook Application. Participants can win awesome prizes like the Chevy Spark car, iPad 2, movie tickets and t-shirts. Upon registration, users are designated as the virtual carpool driver of the account. The objective of the game is to add as much Facebook friends to be your carpool buddy. The application is a great way for users to know more about the hip and col Chevy Spark 5-door mini passenger car. 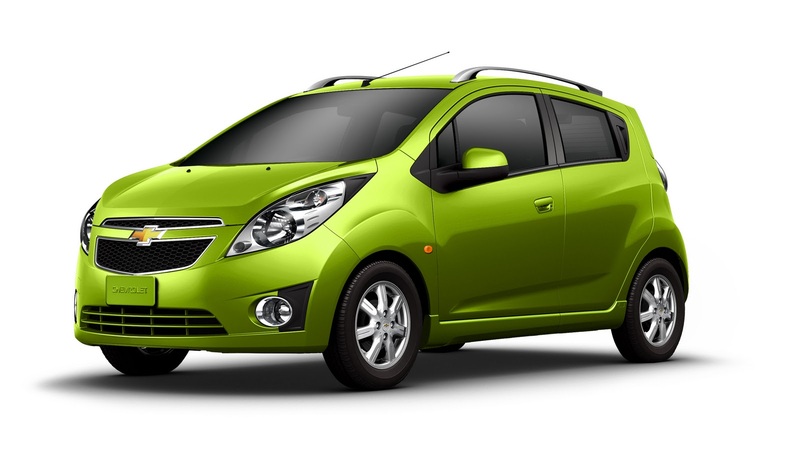 Chevrolet recently introduced its 2 new, sleek and spacious Spark cars - the 1.0L 4-speed automatic and 5-speed manual transmission models. The Spark mini passenger car helps you save on fuel while driving on style. • User must like Chevy Philippines Fanpage and then register in the Spark Virtual Carpool Club (Facebook Application). • Upon registering, user will be assigned as the virtual carpool driver. • User’s goal is to invite as many friends to be his/her carpool buddy. • To secure a successful carpool buddy, invited friend(s) should accept the invitation and register in the Spark Virtual Carpool Club (Facebook Application). • For every 4 successful invites, user will get 1 Spark Car which is equivalent to 1 raffle entry. 1. Car (raffle entry) can only win once within Week 1 to 7. But all raffle entries within the promo duration have a chance to join the Grand Raffle. 2. User can add a friend only once. 3. Prizes are to be divided to the virtual driver and its passengers. 4. Each participating Facebook account per carpool entry must be represented and owned by different individuals. All Philippine residents who are at least 18 years old are welcome to join. Employees of Chevrolet Philippines, TCCCI and Advertising Agency including their relatives up to second degree of consanguinity or affinity are disqualified from winning. *Only Completed Entries within the cut-off dates will be included in the Weekly Raffle. *Completed entries that fall after cut-off dates are included in the next draw date. *Completed entries from July 25 12 Midnight to September 15, 11:59 PM 201 are ALL included in the Grand Draw. ** Participants can only win once within Week 1- Week 7. But everyone has a chance to join the Grand Raffle. • All participants are subject to verification prior to being declared as winners. • Winners will be notified through e-mail on how to claim their prize. Winners will be requested to bring 2 valid government issued I.D. and copy of the email notification. • Each participant in the winning carpool entry must claim their prize personally. • Should a representative claim the prize, he/she must bring an authorization letter signed by the winner, 1 valid I.D of the representative and winner, along with the email notification. • Winners have 60 days upon receipt of notice to claim their prize. Unclaimed prizes within the said period will be forfeited in favor of Chevrolet Philippines. • Prizes are to be claimed at the TCCCI office. • Chevrolet Philippines reserves the right to disqualify winners in cases of misrepresentation and falsification of identity.